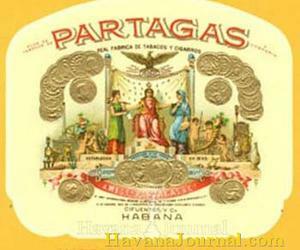 The XXVII edition of the Meeting of Clients and Friends of the Partagas House held in Havana from November 17 to 21. The event is attended by 350 businessmen from twenty countries, interested in smoking cigars. Businessmen, managers and traders will participate in ceremonies and contacts in private sum, allowing a close approach to one of the most important brands of Cuban handmade tobacco. Attendees are from Germany, Australia, Brazil, Belgium, Kuwait, Canada, Mexico, Nicaragua, Spain, Grace, Cayman Islands, Italy, Netherlands, United Kingdom, China, Japan, Singapore, Chile, France, the United States, Sweden and hosts. This event is prepared by the Commercial Business Group Caracol Stores SA when Partagas House also celebrates its 21 anniversary. Smoking dinners, competitions, artistic performances and tours in Havana, Varadero beach and rural farms complete the already traditional session, including a locking protocol in the center of the Cuban government's El Laguito.